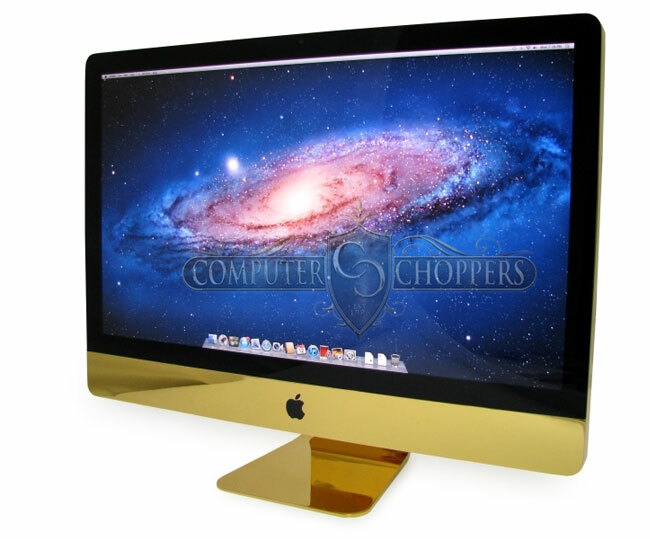 Anyone out there that perhaps finds Apple’s iMac aluminium finish a little understated for themselves, might be interested in a new service which is being offered by Computer Choppers, that will gold plate your iMac. 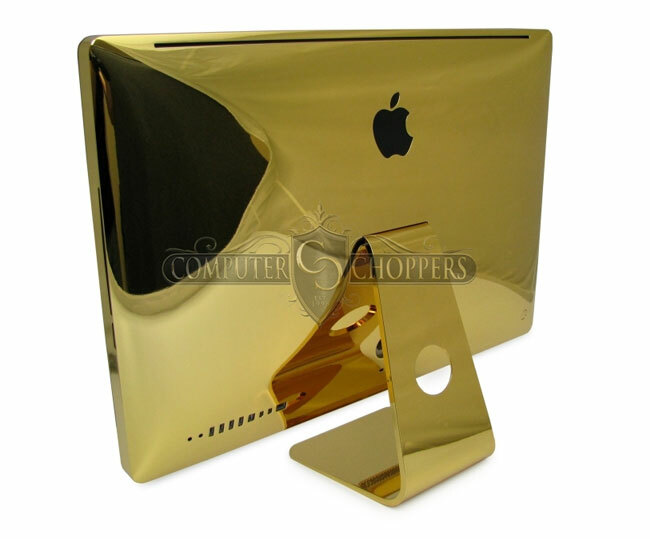 The gold-plating service doesn’t come cheap though and will set you back between $7,000 – $10,000 for a lovely 24 karat coating over your Apple iMac. To finish off the transformation from brushed silver aluminium to a lovely reflective gold Computer Choppers also provide matching peripherals in the form of a gold mouse and keyboard to finish off your Apple setup. For more information on the gold plating service, jump over to the Computer Choppers website for more details.